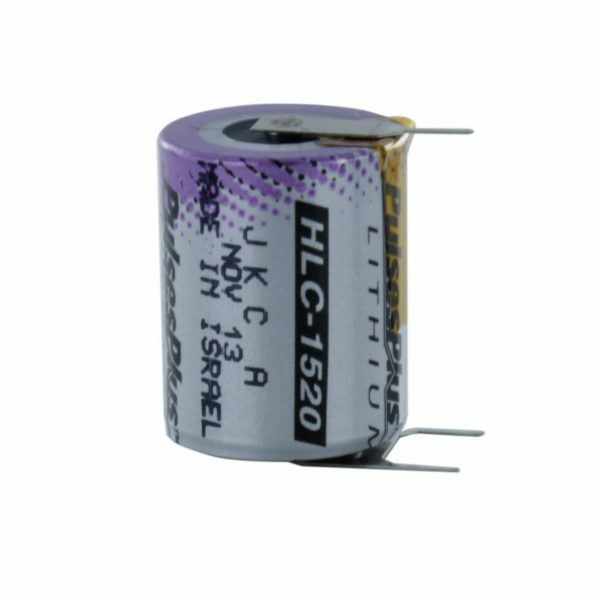 This HLC is the 1520A. It is 3.6V and comes with Polarised Pins. 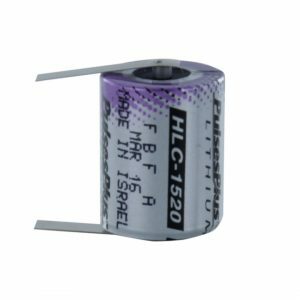 HLC’s (Hybrid Layer Capacitors) are a special type of rechargeable battery. They are used as a capacitor in PulsesPlus batteries, where they are connected in parallel to Tadiran Lithium Batteries. These cells have low impedance and can deliver high current pulses. The performance and reliability properties of HLC’s have been carefully optimized to match those of Tadiran Lithium Batteries. The result is a battery with maximum energy and power density for stand alone use of up to 25 years. Note: HLC’s need to be purchased in conjunction with Tadiran primary lithium cells and cannot be sold separately.